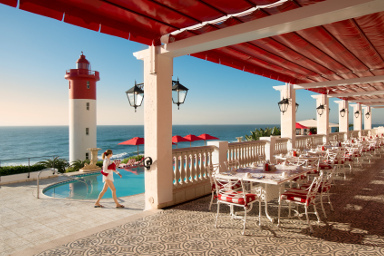 Perfectly located along Umhlanga’s beautiful stretch of beach, the elegant and award-winning Oyster Box Hotel is a national treasure, and you’ll feel like you never want to leave. Each room in the hotel is uniquely styled to be modern and chic with a touch of old-world glamour. With luxurious comfort and amenities that include a spa, private wine cellar, 24-seater cinema, four restaurants, two swimming pools and lush gardens, it’s no wonder The Oyster Box is one of South Africa’s favourite hotels. Whether you’re planning a gorgeous wedding, romantic getaway, family holiday, or a business trip, let the sophisticated traveller in you choose The Oyster Box for a stylish and comfortable stay. The Oyster Box is a cherished and award-winning hotel offering exceptional service and facilities to guests, where their friendly staff go the extra mile and no request is too large or detail too small to cater for. 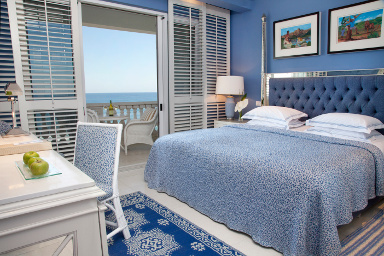 Appreciate the attention to detail and luxurious comfort in every room; from classic garden villa lofts to family cabanas and deluxe sea-facing suites, guests have direct access to the beach from the hotel. 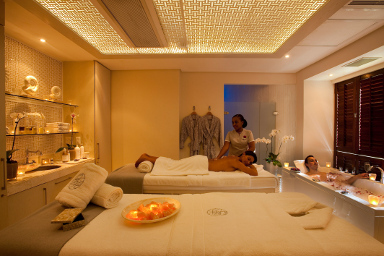 Get the royal treatment with everything from oyster bars, private dining, an exclusive Chef’s table, high tea and cigar lounges, to world-class spa facilities and a cinema – with so many options, you don’t have to step out of the hotel.